Kaiping, Xiamen: The returnees style! 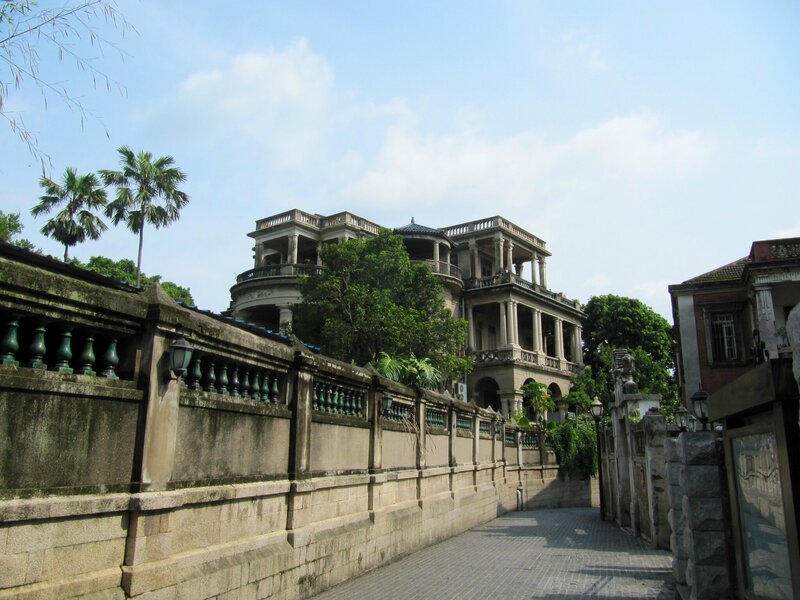 I recently went to Xiamen Gulangyu Island (Fujian) and was actually fascinated by the architecture there. Looking for style or references is almost impossible as the buildings do not seem to belong to any particular trend. Xiamen Black Cat Restaurant, a 1910 atmosphere! In Xiamen (right), when the Ming dynasty decided to restrain the commerce with abroad at the end of the fifteenth century, the local merchants massively migrated to Taiwan, Singapour, Philippines, Malaysia or Indonesia. There, they developed quite prosperous businesses while keeping links with China. So when China reopened after the first Opium War, they were numerous to seize this opportunity to settle on the continent again. Their ideas of modernity nevertheless greatly influenced economics, society and even politics, paving the way to the Chinese Revolution in 1912. Architecture-wise, the houses of these wealthy returnees could not be confused with any others. 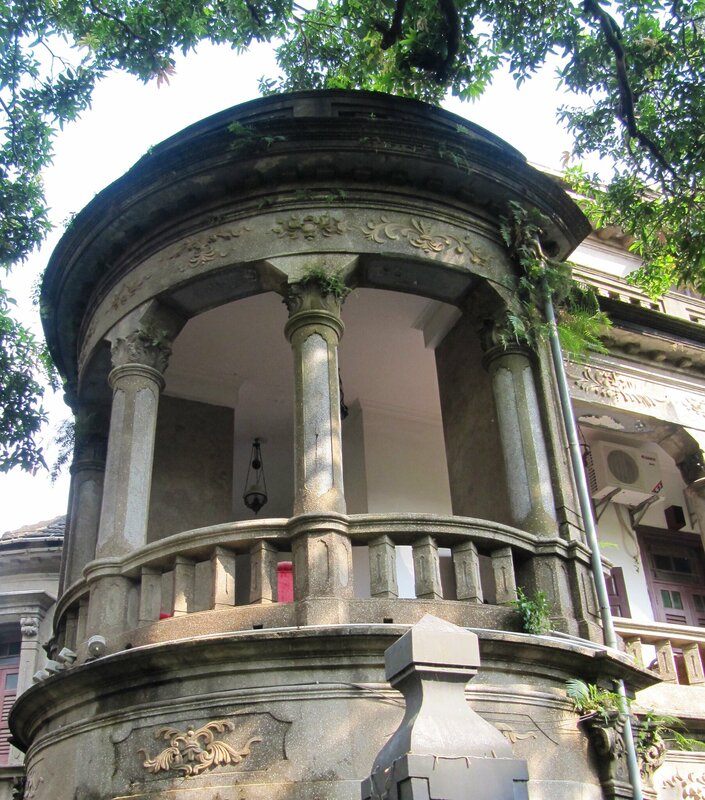 Some elements like the room of ancestors or dragon decorated beams are definitely Chinese but the Western influences can be found everywhere in the outside deco, the Renaissance fountains or colonial type balconies. The overall impression is majestic! However you find it over decorated or pompous, you cannot take away that those people brought something new to Chinese heritage. In Kaiping (left), the story is more or less the same although the Guangdong region people where poor when they departed for America, Australia or Canada. There the most hard working and clever ones settled businesses in Chicago or New York by taking advantage of the industrial boom of the North. When China reopened to trade, these families decided to buy properties in the countryside where they often came from. Nevertheless, the situation there was not as safe as the one on the island of Gulangyu since bandits and endless rebellions at this period made it very dangerous to live on the land. 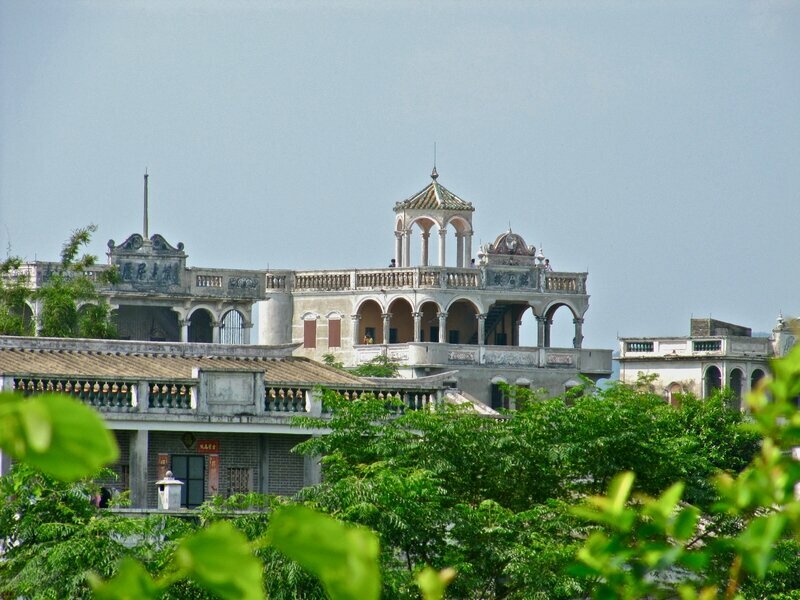 Therefore Kaiping people built middle-age like towers to see comin enemies with iron doors and windows. 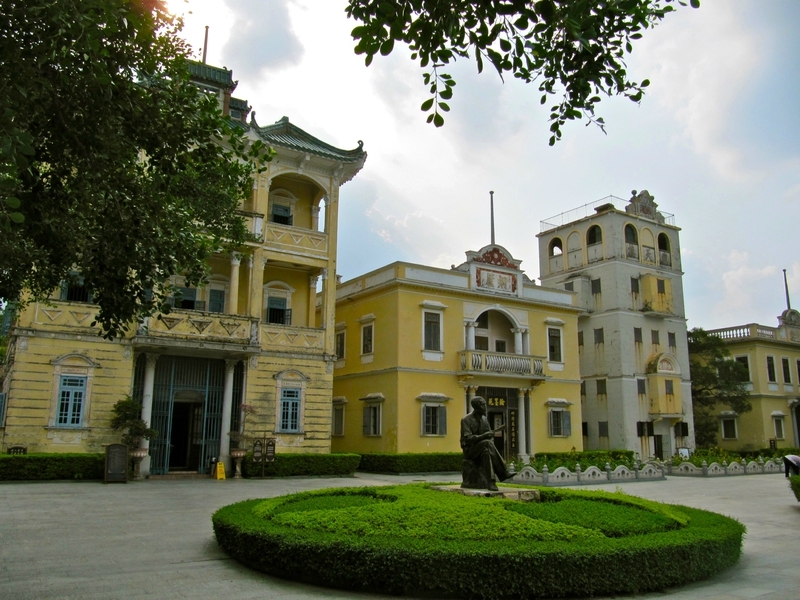 The style of these houses is clearly inspired by Portuguese Macau but it also integrates Chinese traditional features. Some even more wealthy landlords recreated small palaces on the model of French Versailles (Photo right), although more heavily defended. The movie “Let the bullets fly” gives of good idea of the conditions there as it is mainly shot in Kaiping region. 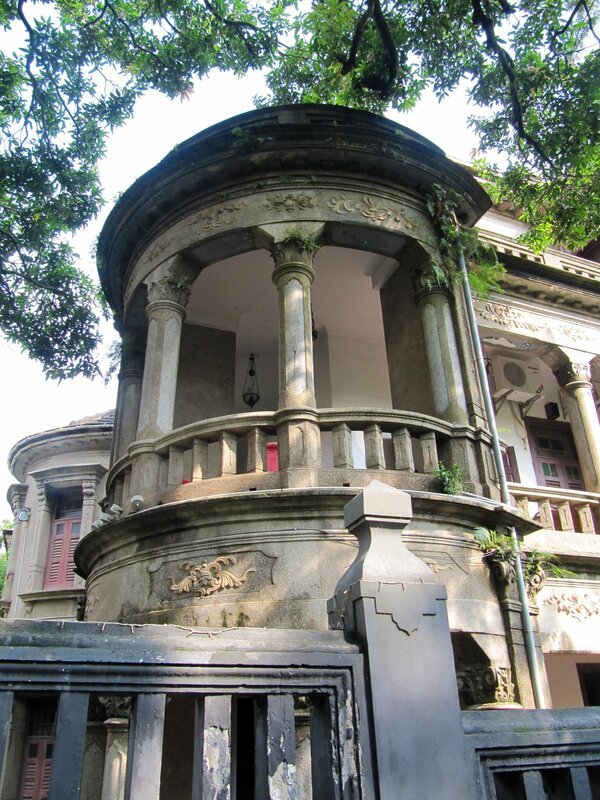 In Shanghai as well, after praising the pure French Concession or British styles, experts now start to dig into the “Comprador style”, those houses built for wealthy go-between of the colonial era which don’t belong to existing trends but are definitely influenced by West. The now Kee Club on Huaihai Road is a good exemple of this style. In the 30's also, Chinese architects like Robert Fan learnt architecture in the US and came back to China. Robert Fan and others gave Shanghai some of its best art-deco buildings reinterpretating in their own particular way some Chinese traditionnal themes like in the Chinese WMCA. How about the new returnees legacy? Then one question comes. We keep hearing about flows of Chinese returnees ("haiwai guilai" in Chinese) making it back from US, Europe or even Taiwan. As China develops faster than the rest of the world, it has become more profitable to invest time or money in China than anywhere else. This situation is rather comparable with the end of the 19th century with even more links between China and the world-wide Chinese diaspora. So what do you think will be the new legacy of these modern returnees? This question is all yours ! Kaiping, xiamen: le style émigré! Shanghai: le college municipal français revient a la vie! Commentaires sur Kaiping, Xiamen: The returnees style!